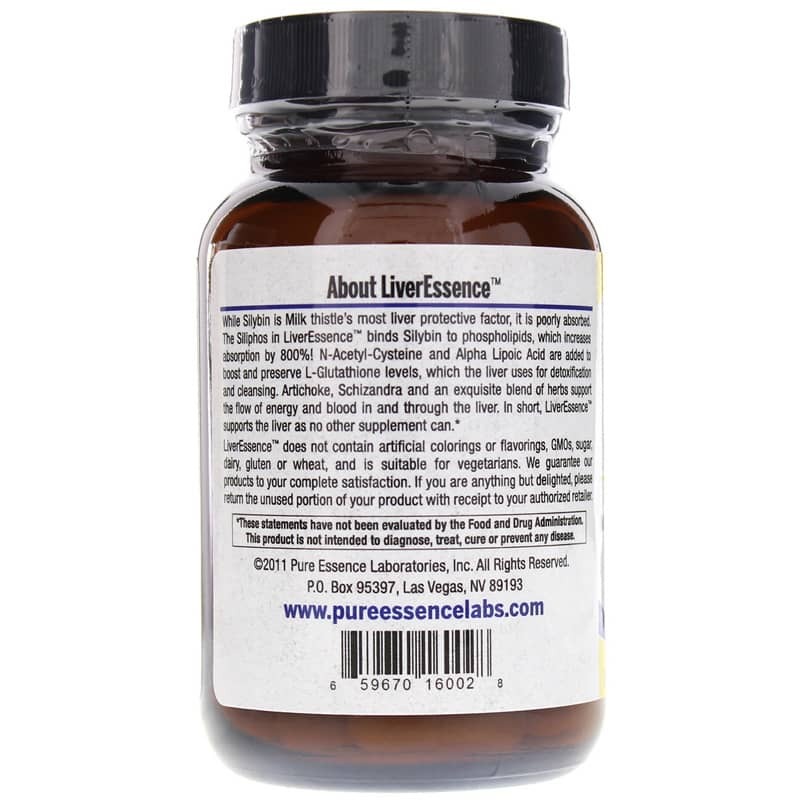 LiverEssence from Pure essence Labs is a dietary supplement containing a highly absorbable form of milk thistle extract and liver support cofactors. Your body's biggest organ, the liver has a role in more than 500 metabolic functions, most notably removing toxins from your body. In today's world, your liver has to defend against thousands of synthetic chemicals used in agriculture, food processing, industry, and technology, as well as the thousands more present in prescription medications. Its most valuable weapon in this battle is an antioxidant called l-glutathione, which protects its cells from the constant poisons and free radicals it encounters. The milk thistle in this dietary supplement boosts levels of l-glutathione. Glutathione can only work as well as it is absorbed, however. 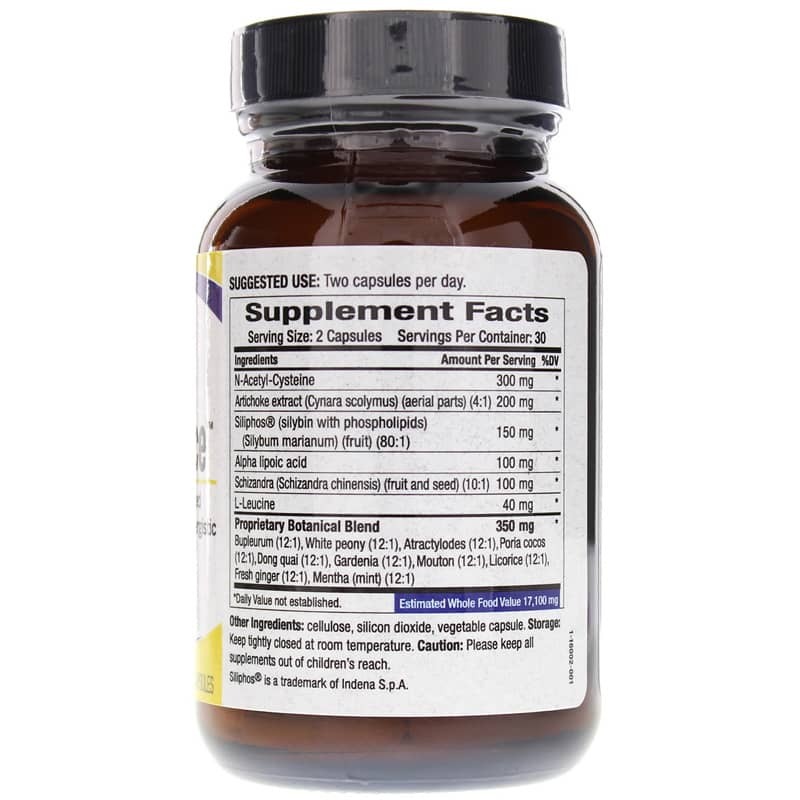 That is why this formula uses a milk thistle extract bound to phospholipids to increase its bioavailability by over 800%. 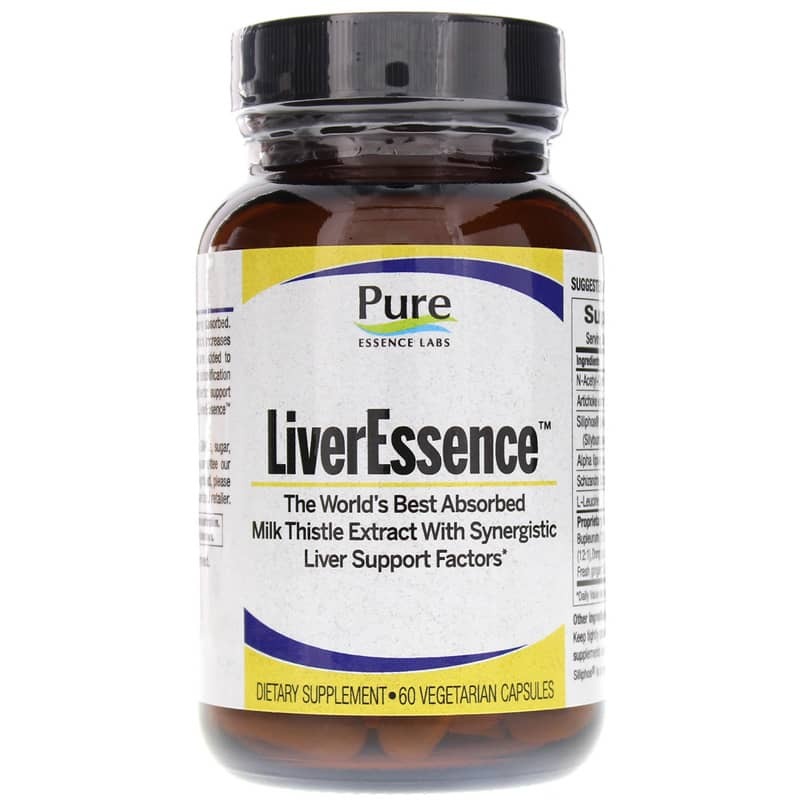 LiverEssence also provides schizandra and artichoke, which are also very beneficial to your liver. And to further boost l-glutathione, it contains n-acetyl-l-cysteine, a building block from which your body manufactures its own l-glutathione, as well as alpha lipoic acid, which rebuilds l-glutathione that has been broken down as it carries out its job. Finally, LiverEssence provides herbs called the Bupleurum- Dong quai combination. This is a traditional blend used to help enhance the flow of energy and blood in the liver, as well as cleanse the blood of the toxins the liver has processed. To use as a dietary supplement, you can take two capsules per day. Other Ingredients: cellulose, silicon dioxide, vegetable capsule. Contains NO: artificial colorings or flavorings, GMOs, sugar, dairy, gluten or wheat. Suitable for vegetarians. Adults: Take 2 capsules per day.